Leave a Comment on Siri-ously! I got to upgrade my phone last week. I am very grateful to be able to have a phone and a family plan to share minutes and cost. It is a privilege among so many that I don’t want to take for granted. A big bonus for me was that I was finally going to experience this helpful assistant with the cool computer voice accent named Siri. My other GPS helpers have always been my friend in time of need for direction. The English speaking Tom Tom lady in the van always helps me get turned around and guides me on and off the “motor way” with ease. She has brought laughter on many occasions with comments like, “Bear right 100 yards”, causing my son and I to go into our redneck routine and look for the “bear” off to the right somewhere ahead. So, I introduced myself to Siri with some new excitement. I am an older kid with a new toy. “Siri, give me directions to The Peoples Church in Spring Hill, TN”. She calculated and gave me the first directions for the journey. My amazing wife has helped me with this problem for decades now. She will patiently, now almost even unconsciously, tell me to turn at the appropriate time, or warn me of an upcoming exit or of a missed street and the need to turn around. She was GPS (Good Partner Service) long before satellites tracked me along my journeys. However she is not always with me and my surrogate helpers have been my GPS ladies. So, you see how Siri was my anticipated support when Rona wasn’t with me. She was glad for me (and looking forward to a break when we ride together I think). Luckily, I had my experienced navigator/co-pilot in the van with me on this maiden voyage with Siri. She had printed directions and was carefully eyeing the road signs to confirm Siri’s directions were accurate. They weren’t. The good news is we saw new back roads in Tennessee. More good news is that Rona helped me know when her commands were not only questionable, but terribly wrong. After a few miles, I sadly turned Siri off when we realized she was trying to take me to a completely different city. Ok, strike one on that Siri experience. I defended her by saying it was probably an Apple Maps dysfunction that led her astray. Yesterday, I am driving and wanted to safely call my friend Jeremy. 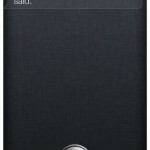 I asked Siri, “Will you call Jeremy?” She replies, “I don’t have your call history.” Humm. I must have asked the question wrong. So, I tried again, “Can you find Jeremy on my contact list?” Siri, (I think she was smirking but I am not sure, I was keeping my eyes on the road) says, “I never really thought about that.” What? Siri-ously! Strike two. My final try came late yesterday afternoon. I was in east Nashville, glowing inside from a great Chicago hot dog and also not sure of the best route to get back on the “motorway”. I told Siri, ( I didn’t ask her this time) “Give me directions home.” Siri says, “I don’t have your home address. Would you like to add it now?” Ok, now we are communicating. My phone contacts opens up and I enter my home address. Boom! Siri is on it. Perfect coordinates through the city street maze and I have my hoped for travel assist help. 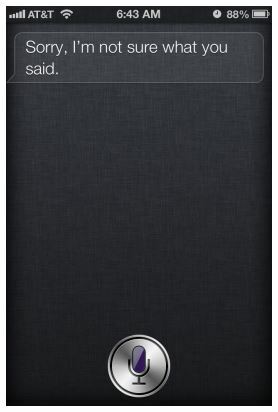 I don’t know how Siri and I will do together in the future, but I do know I still prefer my wife beside me.